Why are mock inspections important? 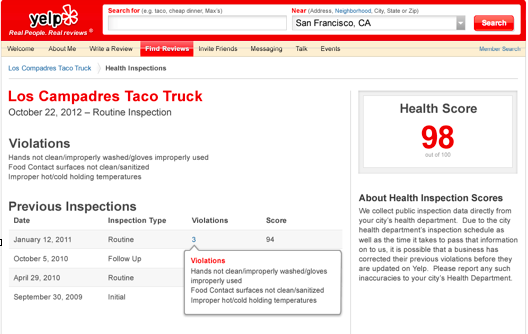 How much do you hate getting points knocked off of your health inspections for the same silly violations every single time? Did you know that for most restaurants that these reports are posted online and even on social media sites like Yelp? You should also know that something like not labeling a spray bottle shows up as “Standard Not Met: Toxic substances properly identified, stored, used.” Or for trash cans being too close to food prep counters you’ll get “Standard Not Met: Garbage and refuse properly disposed; facilities maintained.” These things do not look good to the public and could be affecting your business. Inspection and training will take two hours or less and you will be fully equipped to do your own inspections. This is different than having an outside auditor do a quarterly inspection because your team looks to you for guidance and you will be showing them how important food safety is to you by spending the time to do it right. Once you get the hang of it, you will spend less than an hour a month to protect your guests and your business. With Nutri-Rific and our food safety classes, you can better serve your guests and give a better working environment for your employees. Get in touch with us today to learn more about our online courses and schedule a mock health inspection today. How often would the inspections occur?